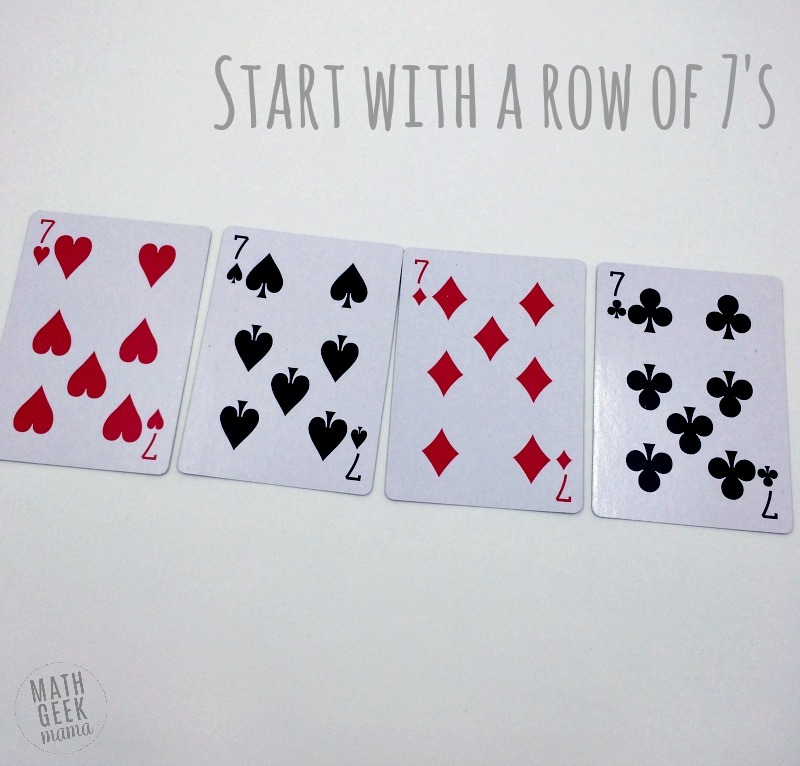 Want a quick and easy card game to play with your Preschoolers or Kindergartners? 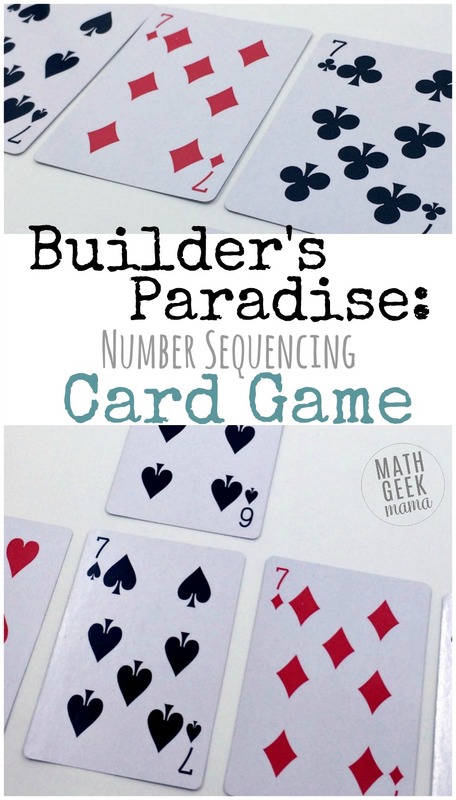 This counting and sequencing card game is a wonderful break from your normal math routine, and a fun chance for your kids to practice their skills. The best part? There’s no prep necessary! Just grab a deck of cards! Builder’s Paradise is a perfect Kindergarten card game, or you can even play with your preschoolers. This game is a fun way to practice counting and sequencing. It will also help kids practice sorting and differentiating between color and suit. To get started, grab a single deck of cards and remove the face cards. Once shuffled, deal all the remaining cards among the players. The object of the game is to be the first player to get rid of all of their cards. 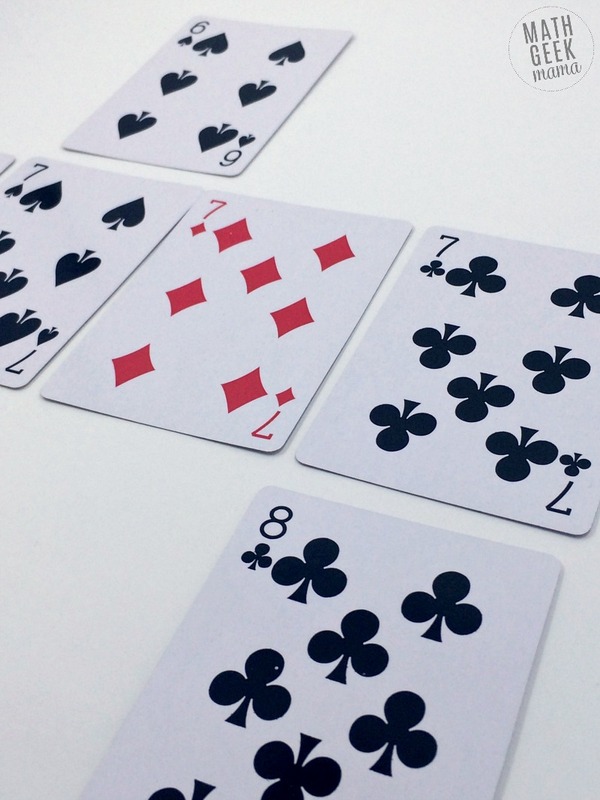 To begin, players take turns putting down one or more cards above or below a seven, in sequence, according to their suit. For instance, in the first round players will play six’s and eight’s. If a player cannot play anything, they pass that turn. If no one that round can play a card, the game is over and the player with the fewest cards wins. This is so simple, and will not take much time to set up and play, but is a great way to help kids work on important math concepts without even realizing it. Want a fun variation? Try building the cards out both vertically and horizontally. Plus, if you’d like to get this entire series, including printable versions of each game and a BONUS game, click here to sign up! It’s FREE! 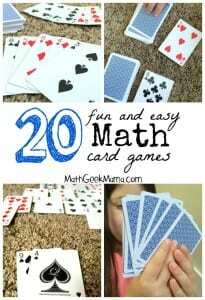 Want the whole set of math card games, including directions, variations and printable versions sent straight to your inbox? Sign up here for instant access! PLUS, receive a bonus game! Success! Thanks for signing up! Now check your email to find your welcome and introduction email.